For the first 15 years of the HIV epidemic, sheer survival was the primary focus among researchers, clinicians and people living with the virus alike. 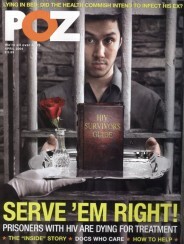 This goal of keeping people alive amounted to the first step in the effort to care for HIV-positive individuals. Then, with the arrival of highly effective combination antiretroviral (ARV) treatment in 1996, HIV became a manageable infection and life expectancies among those with the virus began their long, steady march toward normal. 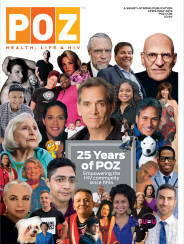 And so during the past two decades, researchers and clinicians in the HIV field have both broadened and shifted their focus to encompass what are known as comorbidities (step two): other serious, coexisting health conditions that are common among people with HIV, including cardiovascular disease and non-AIDS-defining cancers. All along, people with HIV have struggled with chronic pain—largely considered a quality-of-life concern, or the third step in helping the HIV population live long, healthy and happy lives. An estimated 54 to 83 percent of the HIV population is saddled with this critical burden. Interestingly, such high rates of pain have apparently remained stable between the pre- and post-1996 eras of the epidemic. The prevalence of chronic pain among people with HIV notwithstanding, the research community still has a long way to go when it comes to investigating the causes of and effective treatments, especially nonpharmacologic therapies, for chronic pain among people with HIV. According to a recent study published in The Journal of Acquired Immune Deficiency Syndromes, living with chronic pain (among those people with HIV not on long-term opioid therapy) was associated with a nearly 50 percent greater likelihood of adhering poorly to ARVs and a doubled chance of experiencing virologic failure, in which an individual’s virus rebounds despite the fact that he or she has been prescribed HIV treatment. Following a successful pilot study, Merlin recently received a five-year, $3 million grant from the National Institutes of Health (NIH) to evaluate a behavioral therapy program as a form of treatment for chronic pain among HIV-positive individuals. After seeking input from members of this population, Merlin factored into the program a peer-support component in the model of Alcoholics Anonymous, in part to help mitigate the social isolation that people with chronic pain often experience. About 42 to 66 percent of the HIV population experience what’s known as peripheral sensory neuropathy, and about half to three quarters of those individuals experience neuropathic pain—pain related to damage to the nerves—as a result. The condition may be caused by older ARVs—Zerit (stavudine, or d4T), Videx (didanosine, or ddI) and Hivid (zalcitabine, or ddC)—which are no longer commonly used, as well as the virus itself. There is evidence that widespread chronic pain in people with HIV may put some at risk of developing another chronic condition: addiction to opioids, otherwise known as opioid use disorder. One recent study of 4,600 adults in care for the virus at four urban U.S. clinics between 2006 and 2010 found that 39 percent had received at least one prescription for opioid medications; those individuals received a median of two such prescriptions per year. The researchers concluded that many of these people with HIV were likely at high risk of developing dependence to the drugs. Whitney Scott, PhD, is a postdoctoral fellow in health psychology at King’s College London and the lead author of a new HIV-related meta-analysis published in PAIN, The Journal of the International Association for the Study of Pain. She and her colleagues reviewed 37 studies, most of them from the United States, that included nearly 13,000 individuals in an effort to better understand the psychosocial factors associated with persistent pain among HIV-positive individuals. Scott and her coauthors found few studies for their analysis that they considered high quality. But they did find at least retrieve evidence up to moderate in quality that backed a connection between chronic pain in the HIV population and a long list of psychosocial factors. These factors included depression, psychological distress, posttraumatic stress, drug abuse, disturbed sleep, unemployment, lower adherence to ARVs, higher use of health care and a greater likelihood of missed HIV-related medical appointments. Chronic pain in HIV-positive individuals was also associated with protective psychological factors such as personal resilience and overall tolerance of pain, as well as the use of cognitive behavioral therapy. Many of these factors may have a so-called bidirectional relationship with pain, meaning, for example, that pain may cause depression just as depression may cause pain. The same may hold true for sleep disturbance and pain. In the case of drug addiction, people with HIV who suffer from poorly managed pain may turn to opioids obtained without a prescription. Such drug use may in turn lower their pain threshold and exacerbate the problem. Scott and her colleagues were particularly surprised to find a lack of research into chronic pain’s association with HIV-related stigma. A 2010 systematic review published in PLOS ONE that looked at 19 randomized controlled trials of pharmacological treatments for painful HIV-associated neuropathy found that just three treatments for such pain were effective. Each of these options, however, comes with major wrinkles. Topical use of an 8 percent dermal patch of the chili pepper extract capsaicin, for one, requires administration by a health care provider and does not involve simply using the topical solution available in drug stores, which comes in a much lower strength (which is not to say people with HIV cannot explore using such a readily available product); additionally, insurance coverage for the treatment can be hard to obtain. Smoking marijuana, a subsequent systematic literature review and meta-analysis found, had no effect on neuropathic pain and also prompted researchers’ concerns about associated side effects. Third, a treatment called subcutaneous nerve growth factor is not available outside of research studies. Unfortunately, research into psychological treatments for pain in people with HIV remains in its infancy. Some research has nevertheless indicated that providing cognitive behavioral therapy to people with HIV suffering from pain related to the muscles or bones (musculoskeletal pain) was associated with improvements in their physical functioning as well as mood. Consequently, Scott is spearheading a small trial to assess the feasibility of an eight-week program of online cognitive behavioral therapy for people with painful peripheral neuropathy. If the study goes well, it should tee up a larger study to determine the efficacy of such a program. In 2017, a team of 10 experts in HIV, pain, pharmacology, psychology, palliative care and addiction medicine published the first-ever guidelines of the management of chronic pain in people living with HIV. Published in Clinical Infectious Diseases and under the imprimatur of the HIV Medicine Association and the Infectious Diseases Society of America, the guidelines grew out of the authors’ review of medical literature spanning 1966 to 2016. For those who answer that they have experienced moderate or worse pain as well as bodily pain affecting them for more than three months, a thorough evaluation should be conducted, including a physical exam, psychological evaluation and various diagnostic tests. The guidelines advise starting with the lowest-risk pain treatments, which means typically steering clear of opioid medications until many other options have been explored. Some of these options, including cognitive behavioral therapy, yoga, acupuncture and hypnosis, don’t require a prescription; so people with HIV and chronic pain may choose to explore them even before making an appointment with their physician to discuss having chronic pain. Physical and occupational therapy are also recommended as non–medication-based forms of treatment. As for pharmacological treatments, ARVs are at the top of the list, given that treating HIV early is associated with a lower risk of a certain form of neuropathy called distal symmetric polyneuropathy. Other medications include the antiseizure drug Neurontin (gabapentin), which is often used for pain treatment, as well as antidepressants in the serotonin-norepinephrine reuptake inhibitor and tricyclic classes, and the fibromyalgia drug Lyrica (pregabalin). There is some, albeit weak, evidence that medical marijuana may be an effective treatment for pain in certain people with HIV. However, the guidelines caution that such potential benefits need to be weighed against neuropsychiatric side effects when the drug is used at higher doses as well as harms to those with lung disease if the drug is smoked and the risk of addiction among those with cannabis use disorder. Additional nonopioid medication options include Tylenol (acetaminophen) and nonsteroidal anti-inflammatory drugs (NSAIDs) such as Advil (ibuprofen) and Aleve (naproxen). Tylenol has fewer side effects than NSAIDs, which can cause gastrointestinal problems. Prescription drugs called COX-2 NSAIDs, such as Celebrex (celecoxib), have a lower risk of such side effects but are associated with an increased risk of negative cardiovascular outcomes. Bruce, who is also the chief of medicine at Cornell Scott-Hill Health Center in New Haven, Connecticut, encourages people with HIV who are suffering from pain to seek help from their medical providers and admonishes those caring for such patients to check their biases and not presume that people complaining of pain are angling for opioids to support an addiction.